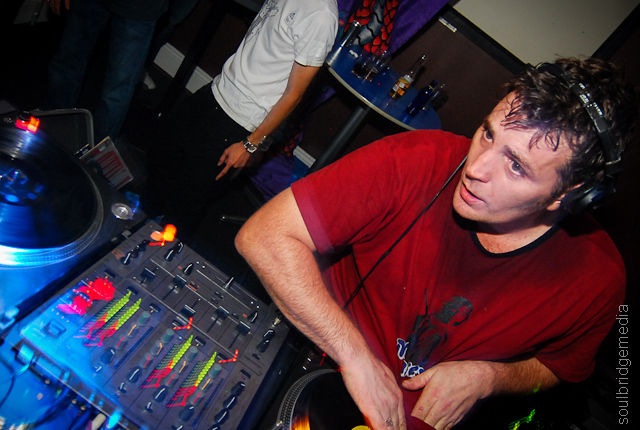 If like me, you came through the birth of dance music in Australia, you would have no doubt come across one of the originators on the local scene, DJ Angus or in his hip hop guise, DJ Bribe. Though no longer with us, he lives on in the memory of friends and many us that enjoyed tearing up a dance floor to one of his sets. Helping to keep that memory alive and inform the uninitiated, Simon of Walshey Films and Jessica Middleton have set about creating a documentary of his time behind the one’s and two’s. Where do we come in? Well back when partying far out weighed photoing and photos had plenty of “artistic” motion blur and out of focus blur to match the debauchery of the nights, I was fortunate enough to not only attend but also snap a few shots of the man doing what he did best at his final two gigs during the revered Candy Flip nights. These photos will be one of many additions in helping to narrate the life and times of Angus and one we are very honored to be part of. Want to be part of it too? Glad you asked, if you’ve got skills or bills to contribute then head to the fundraiser page or contact Simon directly. They’re after any contribution big or small, you can hold off on the extra pint the next time you’re out or wait another week before throwing your money at a PS4 😉 Every little bit will help. Check out the little promo video with a few words from the director and curator himself – Simon Walshe.